Adaptive 4-channel video projections on mirror foil. Collaboration with: Yngve Steensaker, Altus, Mira Quartet and Aalborg Symphony Orchestra. 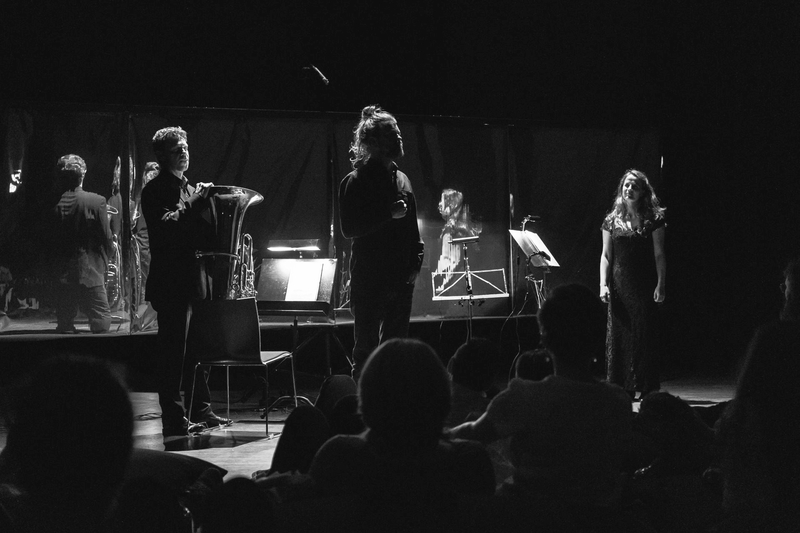 MIMESIS is a concert installation consisting of 6 classically trained musicians, 2 installation artists, mirror foil, lamps, microphones, electronics, projectors and a PA system. 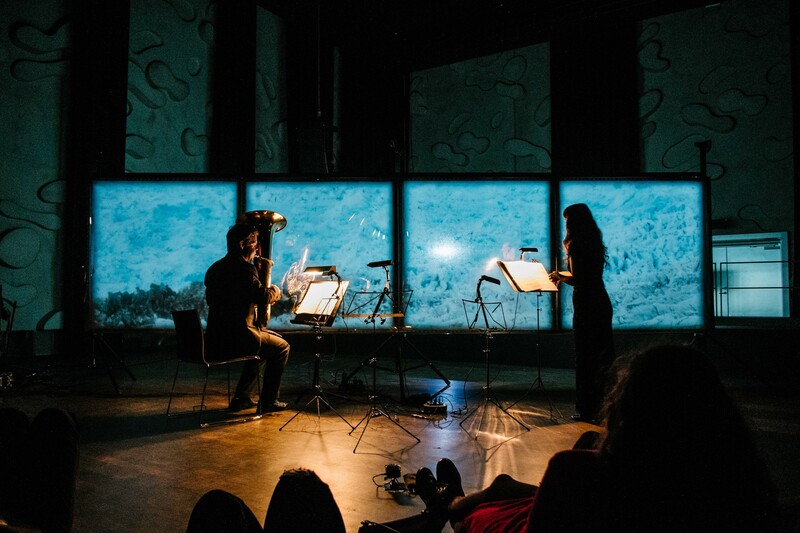 The work contains musical material from Martin Åkerwalls musical interpretation of H.C. Andersen's "Twelve with the Mail", Leos Janácek's "Intimate Letters" as well as visual and texture-musical material by Yngve Brækka Steensaker and Kristian Ross. 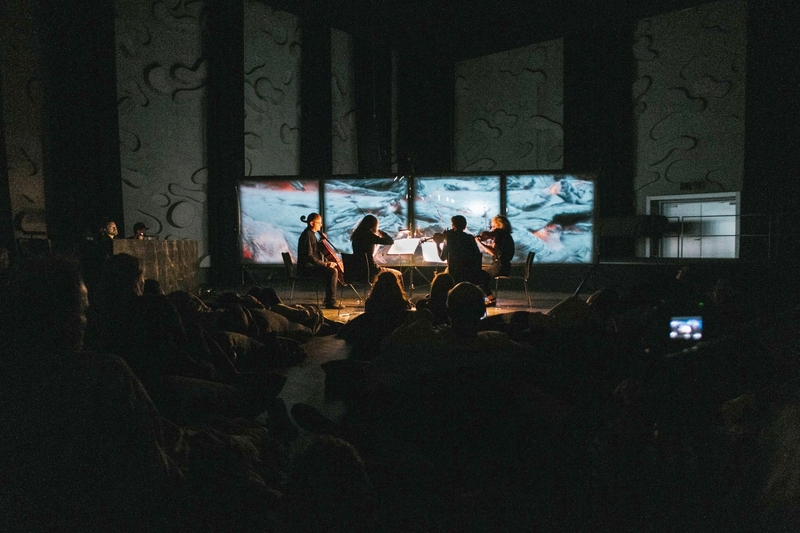 MIMESIS is an audio-visual experiment that cultivates the meeting between the classical music tradition and digital art in an investigation of phenomena such as consciousness, separation, unity and transcendence. 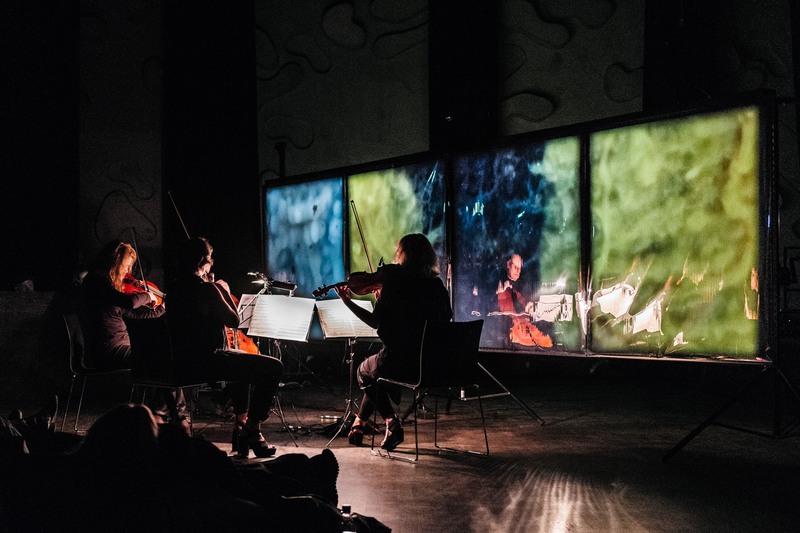 The project was commissioned through a collaboration between Aalborg Symphony Orchestra and Platform 4.